According to the forecasts, the Chilean construction sector has left the bad times behind. Experts estimate growth of one to three percent in 2018. On account of its volume and the high number of employees due to high work intensity, the construction industry is a relevant economic sector in Chile. Also, Chile has one of the highest per capita incomes in South America – a further factor that is stimulating the construction industry to invest in efficiency-increasing building and construction methods. Baumax, a Chilean consortium of various specialists, took a decisive step towards the future in 2017 with the start-up of its automated circulation plant for the manufacture of steel reinforced concrete elements for residential and industrial construction. The production facility is the first automated circulation plant for the manufacture of precast concrete elements in Chile. 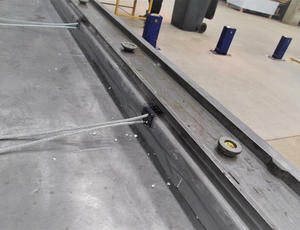 The shuttering solution for the modern precast plant was developed and supplied by RATEC. The particular challenges for the shuttering concept were firstly to tailor it to suit the automation and secondly to make a suitable proposal for the partly complex details of the construction system developed by the customer. The use of wire rope loops was foreseen for the connection of the elements. 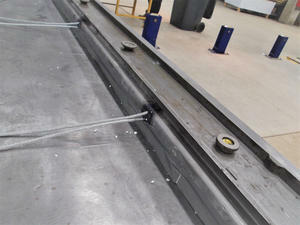 For economic reasons the customer wanted to have an alternative to conventional wire rope loop boxes. 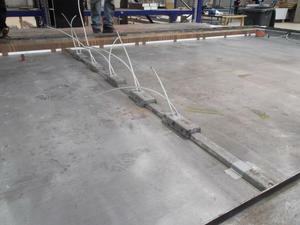 To solve this, RATEC developed robot-compatible shuttering with integrated wire rope loops as well as grouting groove profiles for positioning on the shuttering or pallet, to which single wire rope loop boxes can be individually attached. In the case of shuttering with integrated wire rope loops, the latter are held in place in the shuttering profile by a PE insert. 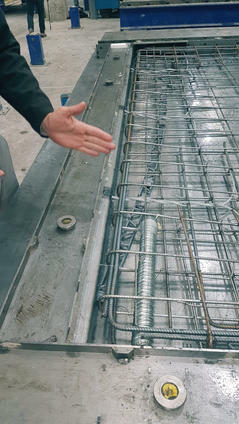 The PE holder can be pulled out of the shuttering for stripping, subsequently removed from the loop and reused for the next concreting procedure. 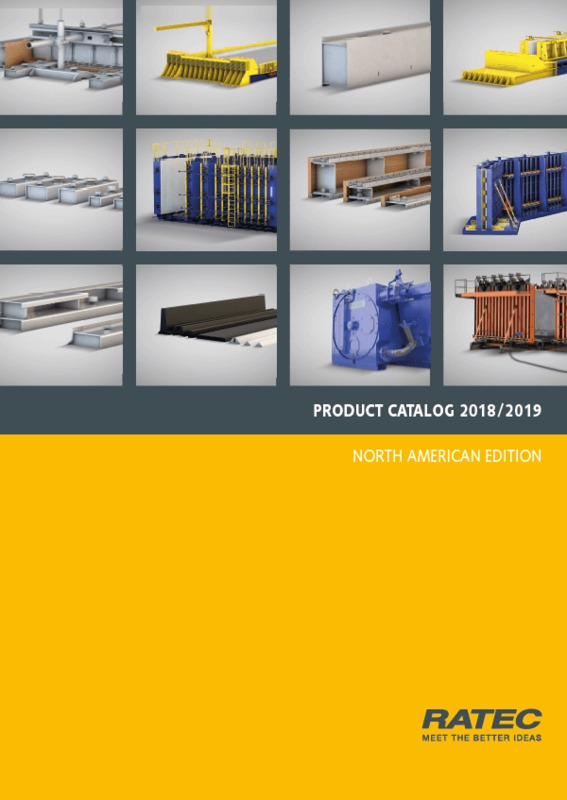 In order to implement corner joints in the element, a magnetic grouting groove profile was developed for placement on the pallet or shuttering along with a matched positive-locking magnetic box with integrated loop for setting on the grouting groove profile. These magnetic boxes can also be removed after concreting and reused. Only the wire rope loop remains in the element. 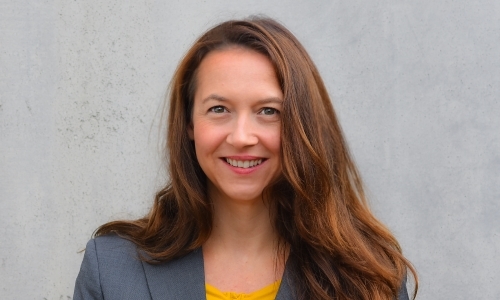 The prerequisite for the implementation of this solution was the static approval for the connection solution described by the competent building authority, which was confirmed in the specific project. 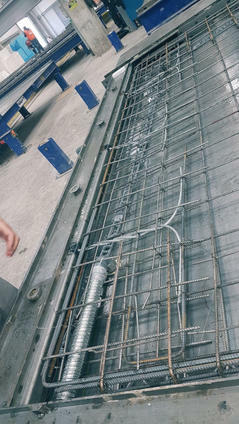 The shuttering was virtually refinanced due to the saving of costs using the wire rope loop connections. Usability in other projects is ensured in the case of static approval by the respective regional authorities. Precast concrete construction, the use of robot-assisted plants and planning software are trending topics in Chilean construction sector (source: GTAI). But also in other Central and South American construction industries the demand is growing for such solutions. In Peru, there is a very high demand for affordable and earthquake-proof living space, accompanied by government housing building programmes, driven by a strengthened middle class and attractive credit conditions for house buyers. Similarly in Panama, one of the region’s fastest growing economies: here the industry drivers are above all infrastructure projects, but strong investments are also being made into residential construction. RATEC and its partners are very well prepared to meet the specific and growing needs of these markets as both developers and providers of system solutions.